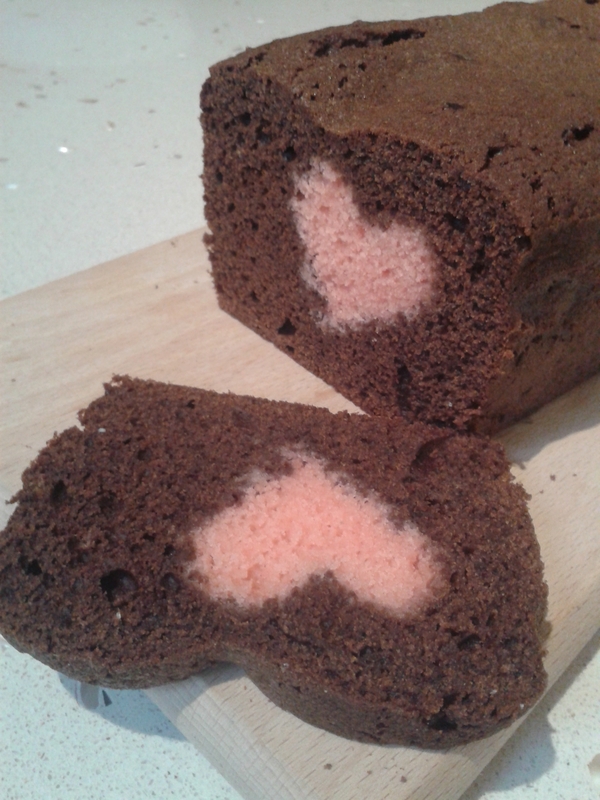 Black Forest Hidden Heart Loaf Cake! You need to make two sponges, one red & one chocolate. 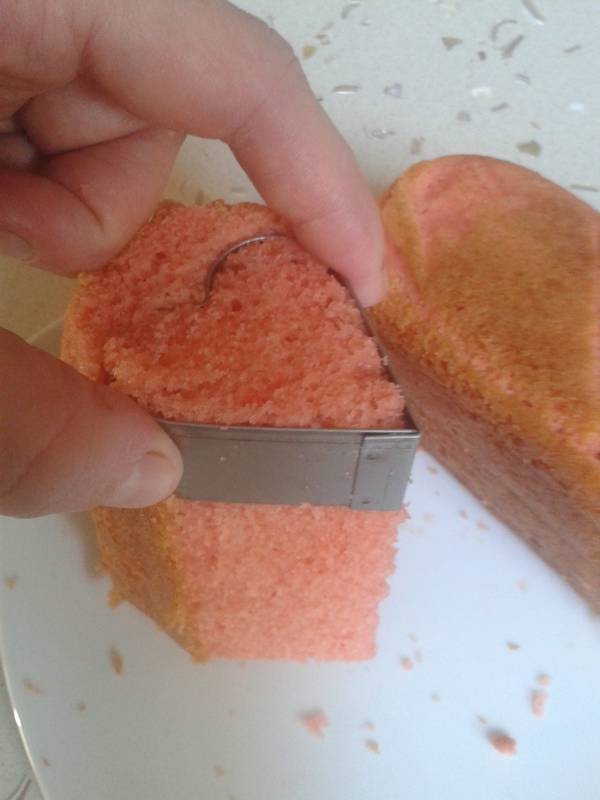 Each Sponge will be a three egg recipe – this is the easiest cake recipe ever! You weigh the whole eggs and that weight is the weight you need for all the other ingredients. 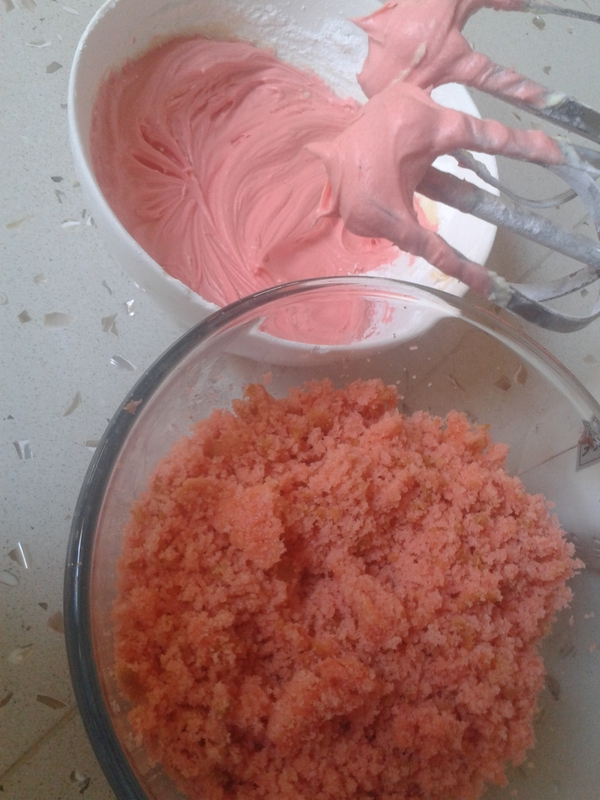 AN IMPORTANT NOTE ABOUT FOOD COLOURING: As a general rule pastes and gels are better than liquid colourings. Make sure you start with a little and gradually as you can always add but you can’t take away! 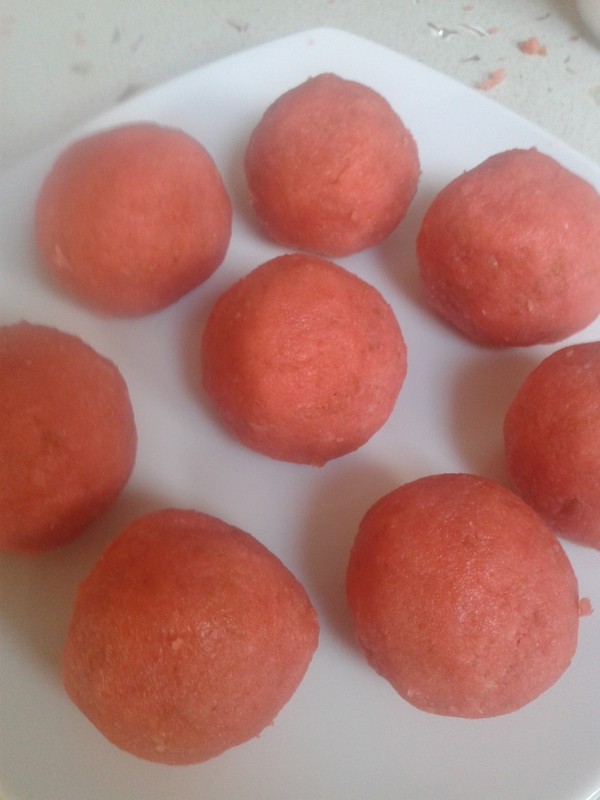 Make sure you have a definite colour that you are happy with before you bake. Bake in the oven for approx 20 minutes or until an inserted skewer comes out clean. Then leave for 10 minutes before removing from the tin and cooling completely – then put it in the fridge for half an hour to firm up. 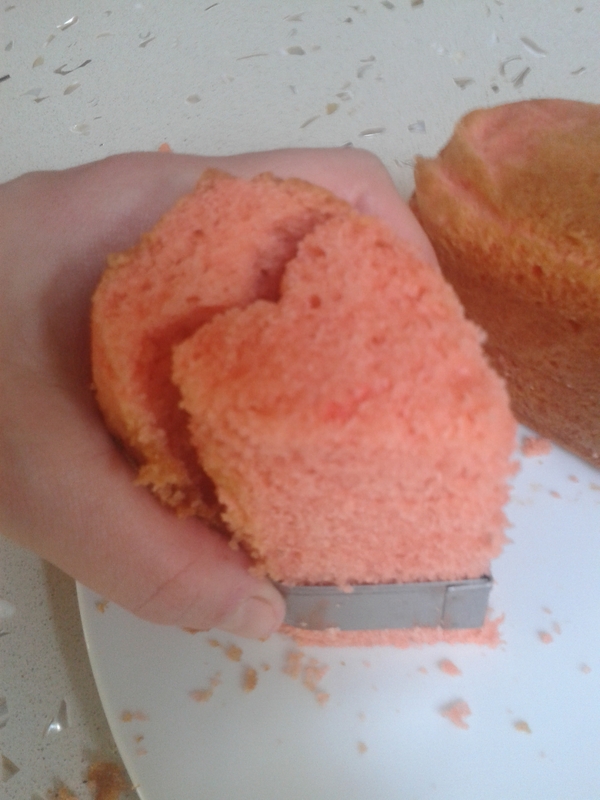 Pour about 1/4 – 1/3 of the mixture into the lined tin then carefully place the heart cut out sponge lengthwise. Cover with the remaining mixture. Bake in the oven for approx 20 minutes or until an inserted skewer come out clean. Then leave for 10 minutes in the tin before turning out. 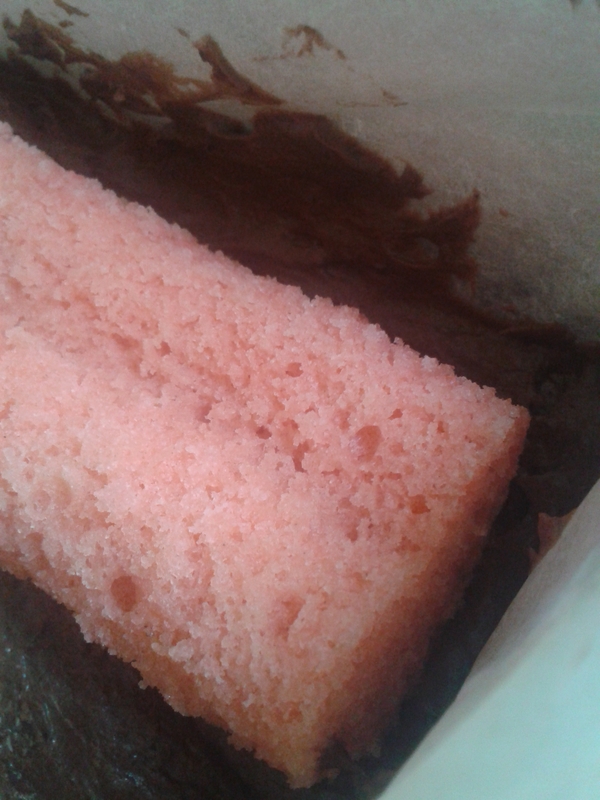 Dust with icing sugar or drizzle with pink coloured water icing. Wait for your loved ones to be watching before you amaze then by cutting the first slice! TIP: Turn your pink cake cut-offs into Truffle Pops! Just crumble up and mix with enough buttercream (icing sugar & butter beaten together) to bind it together, then shape into balls. Refrigerate for an hour before covering in melted chocolate. 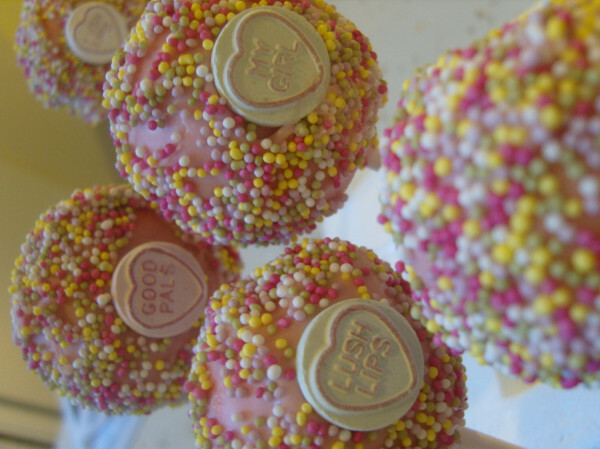 You can make these into traditional cake pops too, my favourite Valentines themed ones are dipped in pink chocolate melt (which you can buy in Lakeland) & covered in sprinkles with a Love Heart attached.